Back by popular demand! 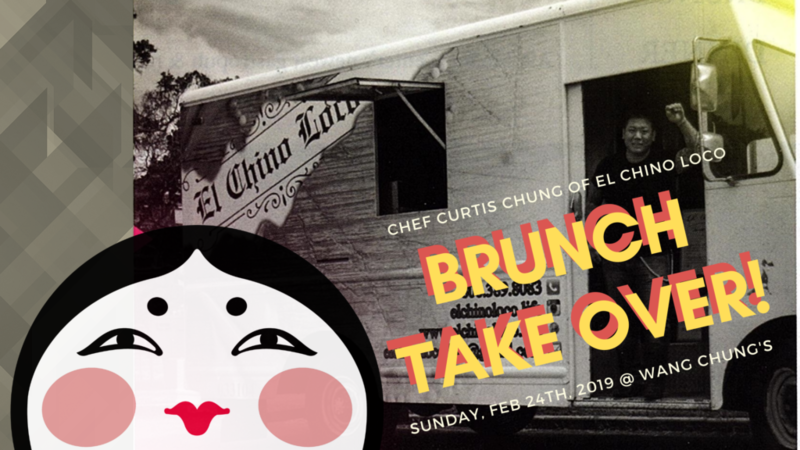 Chef Curtis Chung from El Chino Loco will be taking over the kitchen this Sunday, February 24th, 2019 at Wang Chungs Karaoke Bar and featuring his unique twist on brunch. Pickle Brined Chicken & Waffles, Bourbon Misoyaki Brisket Hash, Pulled Chino Style Pork Tacos and more! Hope to see you this Sunday morning for this fun pop-up. 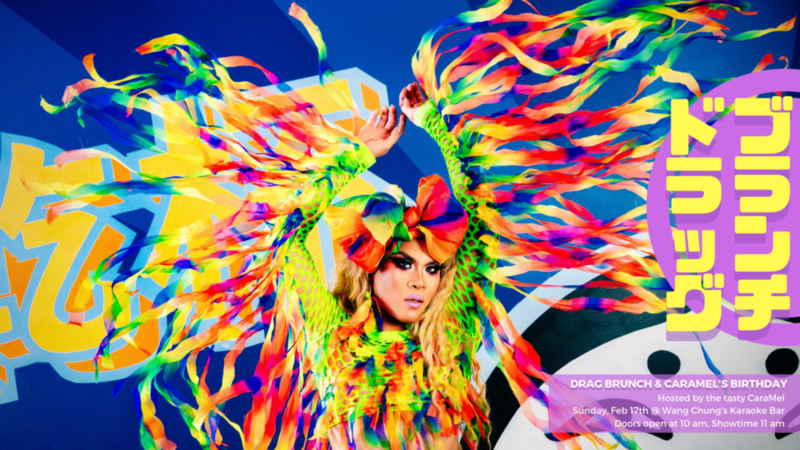 Join us for a very special Drag Brunch coming up this Sunday, February 17th, 2019! Doors open at 10 am. Showtime 11 am.